A quick outdoor test of a DIY heavy-duty camera dolly a friend crafted. 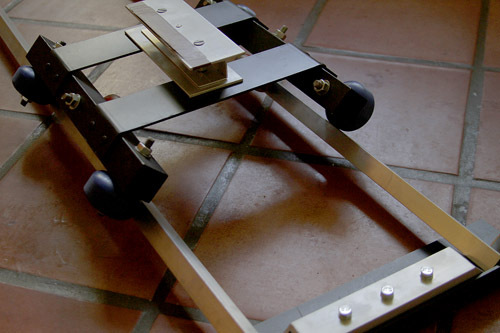 The dolly is an all-metal construction and could probably support up to 100lbs of gear. Although for this test I simply put a Canon EOS 7D and 28-135mm on it. 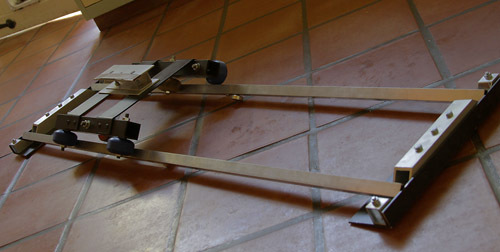 The dolly is designed mainly to be used with its 1.4m track, but it can be collapsed to a 70cm rail which is handy for macro. I shot the footage with the new Technicolor LOG profile, and graded in Magic Bullet for Premiere CS5. I'm excited to see this used in an actual video, other than scenic footage. Looks like a good piece, can definitely come in handy. Well done, I've been looking into getting some sliders, good on you for building your own!